This blog post was made by David Rosenbloom on July 2nd, 2015. For the last two and a half years, I've been giving presentations on behalf of ESRD Network 18 in Southern California. In the Q&A that follows, the same question arises time and again from audience members, most of whom are dialysis nurses, social workers and facility administrators: "How can we effectively combat patient passivity?" I always tell them there is no easy answer, nor a magic formula - that every patient must be treated as an individual case. Compliance has been monitored as far back as the time of Hippocrates.1 Yet for more than 2000 years of medical history, compliance has continued to be low. In developed countries, on average, only 50% of patients with chronic conditions adhere to long-term therapy. In developing countries it's much worse. Medical professionals have often difficulty recognizing patient non-compliance, and when they take measures to improve patient behavior, the results have been mixed.2 A third of patients come close to perfect adherence, and even in controlled clinical drug trials, the average compliance rate is only 43-78%.3 And to make matters worse, uncooperative patients account for increases in disease, death and higher healthcare costs. Most people are intimidated by medical terminology and fear appearing stupid if they ask simple questions of doctors and nurses. This holds true even with highly educated persons who have had high-powered, managerial positions. They become like confused children when confronted by medical professionals and their fast-paced, high-tech environment. Passive patients believe all they need to do is show up, and they will be taken care of. Most are not offered a choice of treatment modality nor educated as to their options. This lack of choice and paucity of education are major factors why the U.S. severely lags other advanced nations in percentage of dialysis patients on home dialysis by a factor of four or higher7. Often this condition is referred to as "learned helplessness." It is the antithesis of patient-centered medicine, which many see as the only hope to finally improve health outcomes and reduce costs in a today's very expensive and inefficient system. The irony is that we live in a society consumed with self-help aids and self-improvement philosophies, except for the medical treatment field. We are treating only the physical side of the patient, largely ignoring the emotional and motivational aspects that promote wellbeing. This is especially true of three-day per week, in-center dialysis. Patients are often treated like small children and blamed for not adhering to strict, unappealing diets and liquid limitations that seem cruel, or for missing target numbers on monthly blood tests. “Compliance” is the buzzword used to identify the good patients from the bad. Understanding of the symptoms that impact patients' thinking, including brain fog and fatigue, is totally missing. Why do we expect cooperation from people who are sick, whose very complex disease requires a radical life change when the brain is not at peak performance? It makes no sense. Nor is it humane. So what CAN you do about patient passivity? Change your perceptions. See the whole human, not just the sick part. We kidney patients are simply people with kidney failure. We have lives outside of dialysis. We have families, jobs, and concerns and desires similar to all Americans. And we dialyze to live, not live to dialyze!—a very important distinction too often lost in the maze of the modern medical world. Can you imagine a doctor, nurse or social worker taking a medical history from a new patient and not asking what the person does for a living, are they married, do they have children, do they go to school, and what kind of support do they have, if any, at home? It happens all the time. You treat half the person, ignoring everyday factors that motivate and give meaning to life. And then you complain that we aren't "compliant" with medical directives. You need to see our reality. To recognize that we need dialysis to survive and that it alters our lives irreparably. 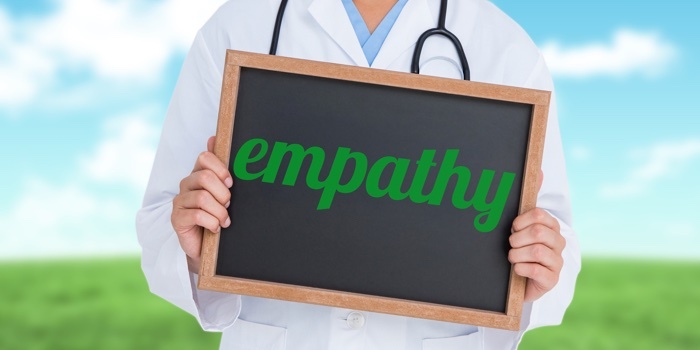 As providers, you need to have empathy and compassion, not disdain or pity, especially for those who may be uncooperative or confused. You can actively involve our families and loved ones in our daily care and education. Personally, in my 6 1/2 years on dialysis before my successful transplant, I always felt that with kidney failure, my brain had to take over the management functions my kidneys did naturally. I realize this is a very intellectual view of a life and death matter, but it is what had happen for me to survive and regain control of my life. I had to think about things that my kidneys no longer did, like regulating and eliminating excess fluids, taking supplements to replace natural hormones produced in working kidneys, and avoiding certain bad foods which would significantly worsen my health. I had to learn what dialysis could and could not do for me, and then begin to accommodate my lifestyle to those needs. Dialysis never became my reason for living. It kept me alive, but I never allowed it to define my life. It wasn't always pleasant or painless. It was time-consuming, inconvenient and necessary. But it was not me. I was still a person, albeit a person with kidney disease, not a dialysis patient. There is a huge difference between the two. I insisted that all my doctors, nurses, and dialysis technicians understood that difference and treated me accordingly. I didn't want pity. I wanted respect and education about my condition so I could better cope with it. I paid attention to what they had to offer, moved from in-center treatment to daily home hemodialysis, and was able to return to work fulltime while waiting for a transplant. They called it “compliance.” I called it common sense. Dialysis professionals all have busy schedules, too many patients to attend, and financial targets to meet. These are realities of our American system, but no longer good excuses if you are serious about reforming dialysis practices to see positive outcomes and more patients rehabilitated. Make the time to teach and inspire. To help us accommodate, not surrender, our lives to dialysis. Otherwise you are condemning us and yourselves to repeating the same habits and mistakes that relegate an ever-growing population to a purgatory known as dialysis. It is said that the best therapy for any patient is administered via the ear with the spoken word. Calm encouragement, a reassuring message of hope with the potential of renewed health, is often more effective than any drug. The best patient is an educated, cooperative and highly motivated patient—one who is a pleasure to work for and with. David: Thank you for an insightful article with many excellent points. The challenge to being a patient is we are expected to perform at our best when our health and the way we feel is at it's worst.